We’re just about thawing out after what was an incredibly eventful week in the life of our wee shop. Tuesday evening, the snow starting drifting in as we gathered for our 5th AGM, reflecting on the successes of last year and catching up with our members, shareholders, volunteers and community built through this wee unassuming grocers. 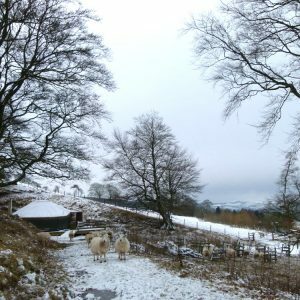 Little did we know that the Beast from the East was on her way, wreaking havoc with our food supply and collective ability to function…. or did it? 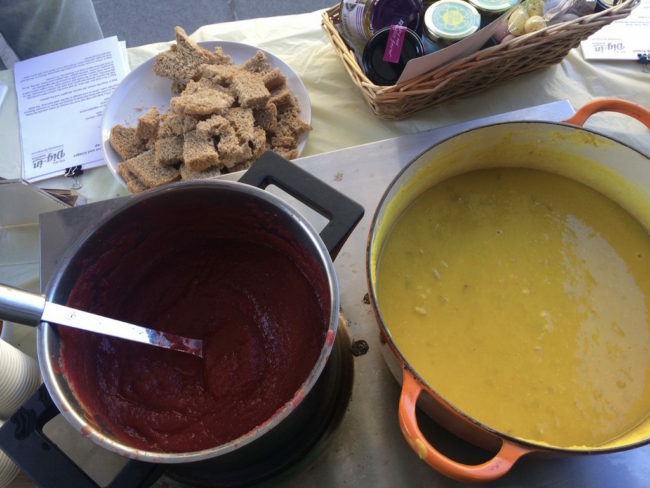 Thank you to everyone who turned up to our WHOLEmeal Saturday event – a pop-up tasting event with whole meals made by volunteers exclusively with ingredients from Dig-In. Amanda Lake, Co-convenor of our PACE subgroup and WHOLEmeals galore! 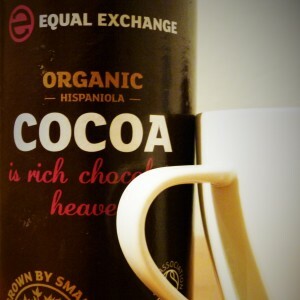 ingredients just from the shop to make a variety of delicious recipes for any time of day. For breakfast volunteer Frankie had made a delicious overnight oats with almond milk, grated apple and a homemade rhubarb jam on top. 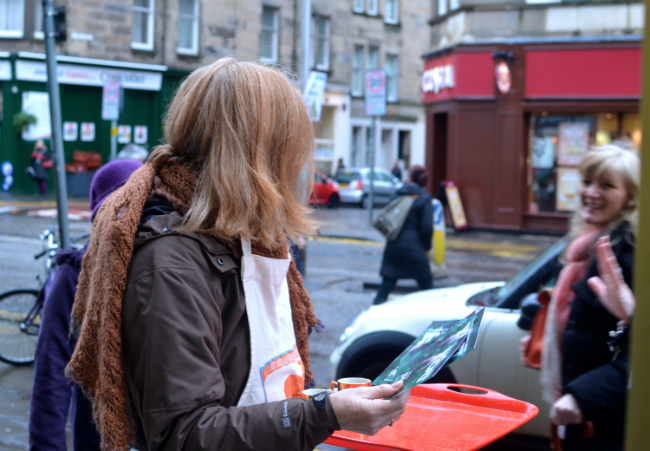 We were handing out recipes on the day but also host them right here on our website…. 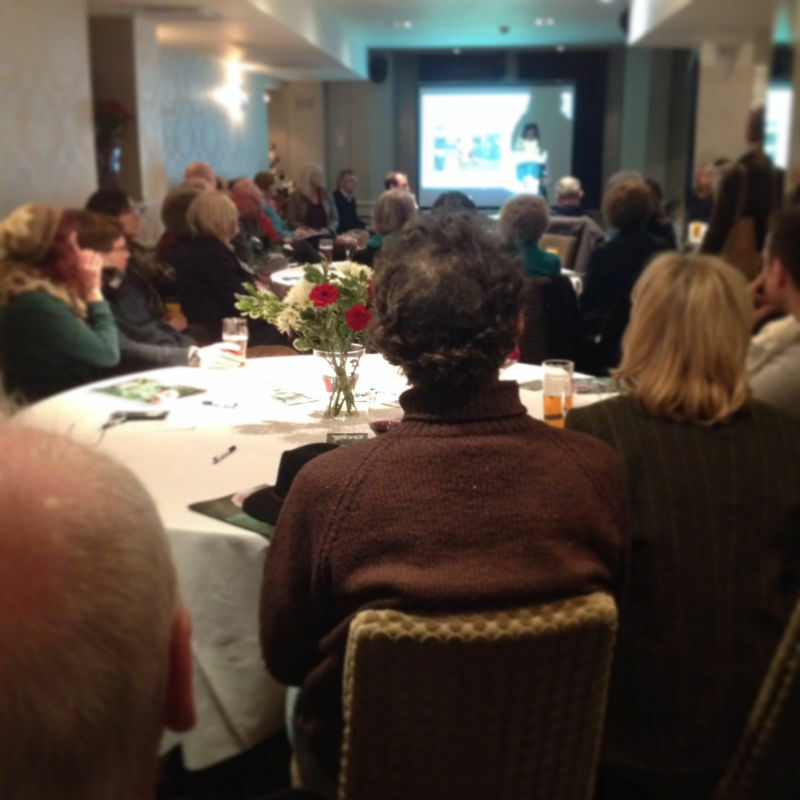 Many thanks to all the Dig In members and supporters who joined us for our 3rd Annual Supporters Event in March. More than 40 people came along to the event, sending a clear message that our greengrocer holds a strong place in the heart of our community. It’s that kind of weather isn’t it! Our warm greetings and a hot chocolate toast to 2016. Best wishes from the staff and volunteers at Dig-In and thanks so much for your support. Throughout February the shop has been open for Soup Saturdays. It’s an opportunity for passers by to drop in, have some free home made soup and learn about Dig-In. The drop-in’s, which run weekly from 11am-3pm have been a fantastic sucess so far and we’ve met lots of amazing people, shareholders and eager volunteers who want to help out. 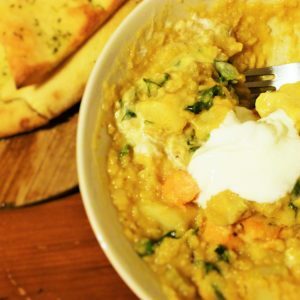 We still have two more soup Saturday’s taking place on the 15th and 22nd of February so if you’re in the area, come along to 119 Bruntsfield Place, try some delicious homemade soup, and find out more about our plans. 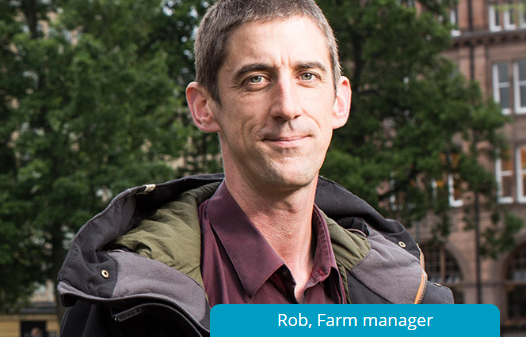 It’s been a busy month for the Dig-In team. Since November, not only have we launched our Community Share Offer but we now have a premesis in Brunstfield to call home. 119 Bruntsfield Place (previously Smart Cartridge) has had a little makeover since we got the keys on December 1st. The team have been painting the walls and scrubbing the surfaces to get the shop prepared for the next step, turning it into YOUR community Green Grocer. 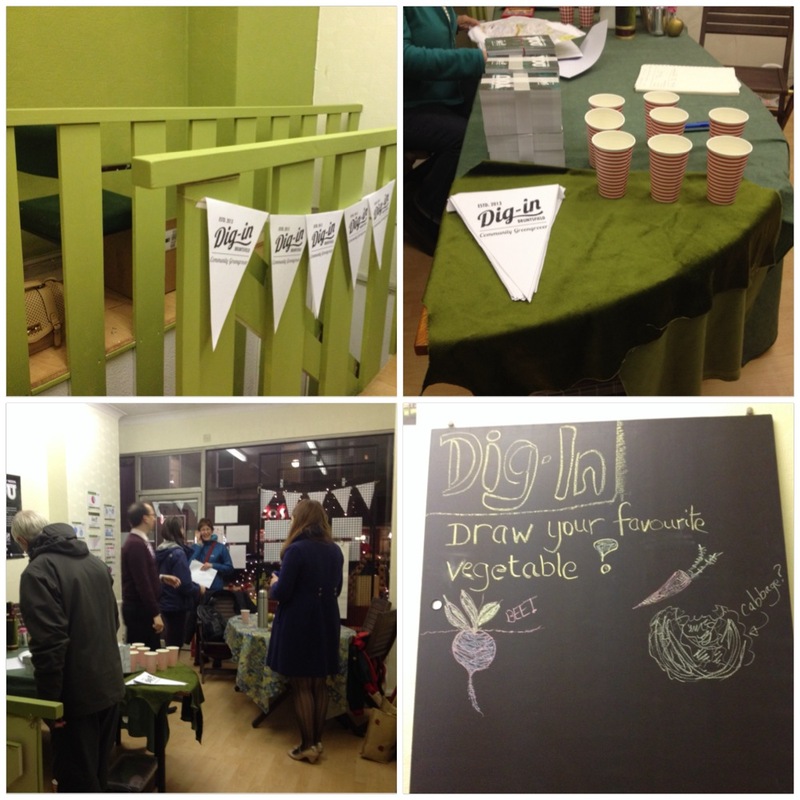 Thursday 29th November saw the launch of Dig-in’s Community Share offer. 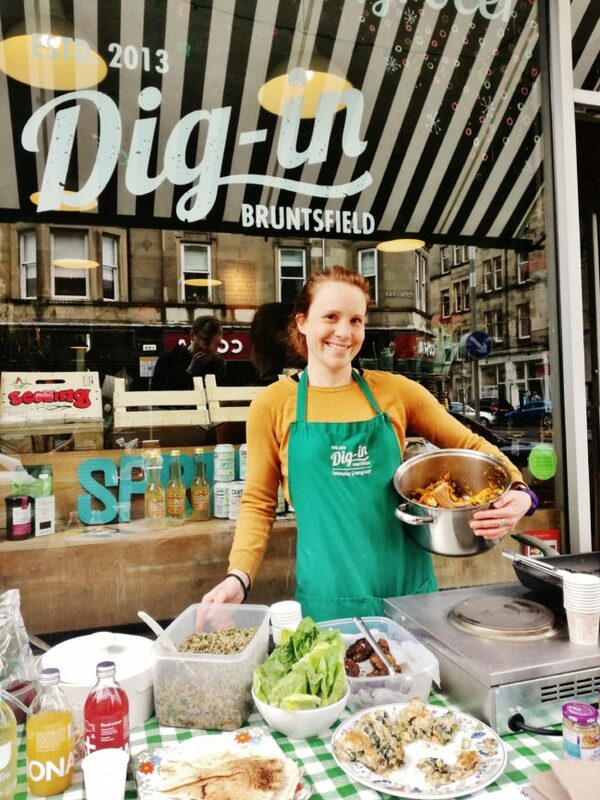 The launch was held at the Bruntsfield Hotel and over 150 people turned up to find out more and show their support for the community run greengrocer. 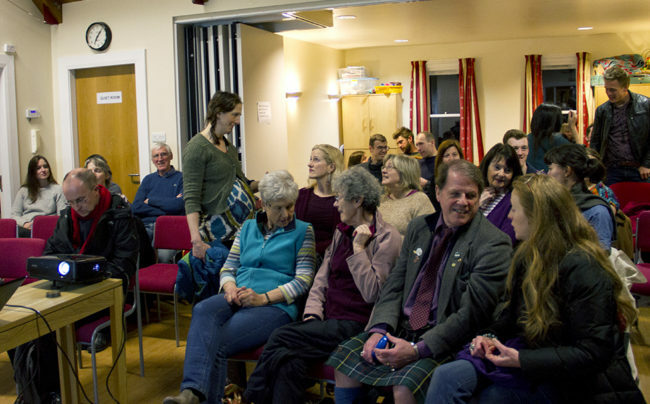 Shares were for sale on the night and everyone got the chance to hear guests Lesley Riddoch and Pete Ritchie from Whitmuir farm talk about local produce, community and working together to make a difference.